Oswego, gen. neighborhood & scenic; "Sucker"(Oswego) Creek Bridge at the old "Landing" at the Willamette River. Description Sepia photo scanned as b & w. Same as 83b & c and 728a & b. Photo taken by Will Bickner. The Old River Road Bridge is now a footbridge in George Rogers Park. 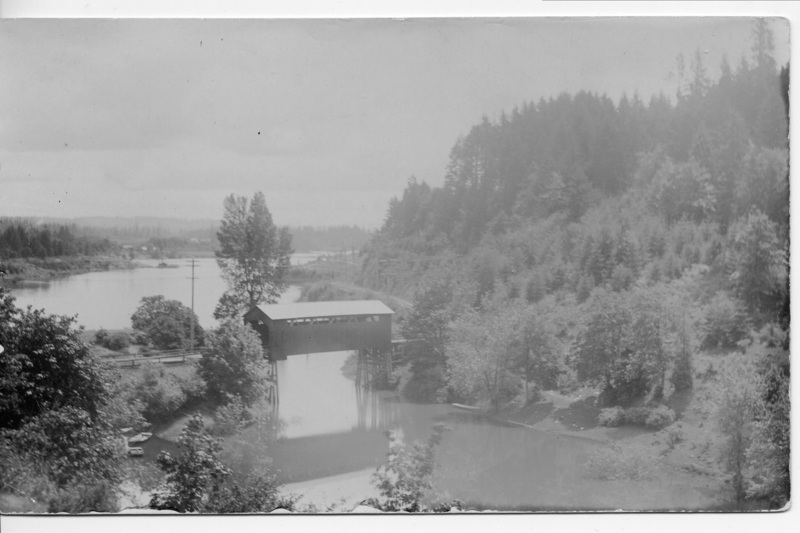 Transcription Oswego, gen. neighborhood & scenic; "Sucker"(Oswego) Creek Bridge at the old "Landing" at the Willamette River.